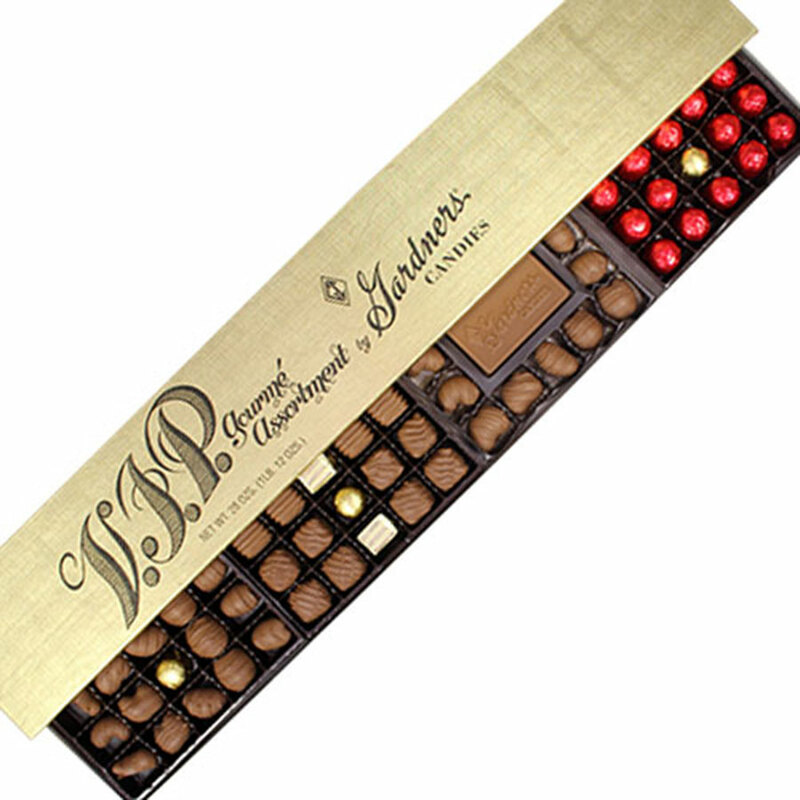 An impressive, two-and-a-half-foot-long box is filled with four separate trays of irresistible temptations covered in creamy milk chocolate. Two trays hold assorted nuts, one holds cherries, and the fourth holds our most popular centers. A one-time $250 set-up charge applies for new logos.